If you have been to the store in the past few months, you may have seen the sweet collection of girls’ clothes hanging in our window. 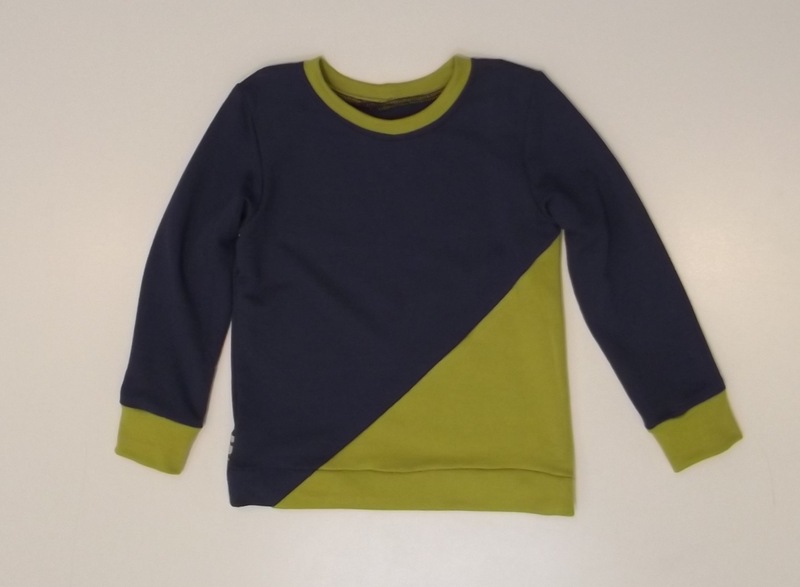 As summer turned into autumn, we decided it would be great to make a new kids’ wardrobe, this time for a little boy. Full fall wardrobe sewn by Tamara. Sock monkey and sock dog sewn by Kitrina. We have loved Japanese pattern books, like Pattern Magic and Drape Drape, for many years. 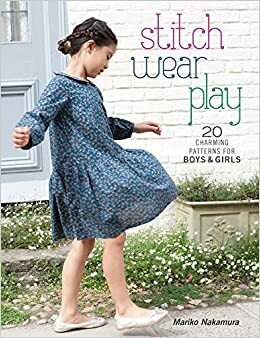 This year we received a large selection of new titles that are all equally fascinating and charming, including She Wears the Pants, Basic Black, Stylish Dress Book, and Casual Sweet Clothes. We also got in a handful of the pattern books that focus on children’s wear. The girls’ clothing in our last window was created using patterns from the book Sew Sweet Handmade Clothes for Girls. For our boys’ wardrobe, we used patterns from two books: Stitch Wear Play and Happy Homemade: Sew Chic Kids, and a tee-shirt pattern from KwikSew. 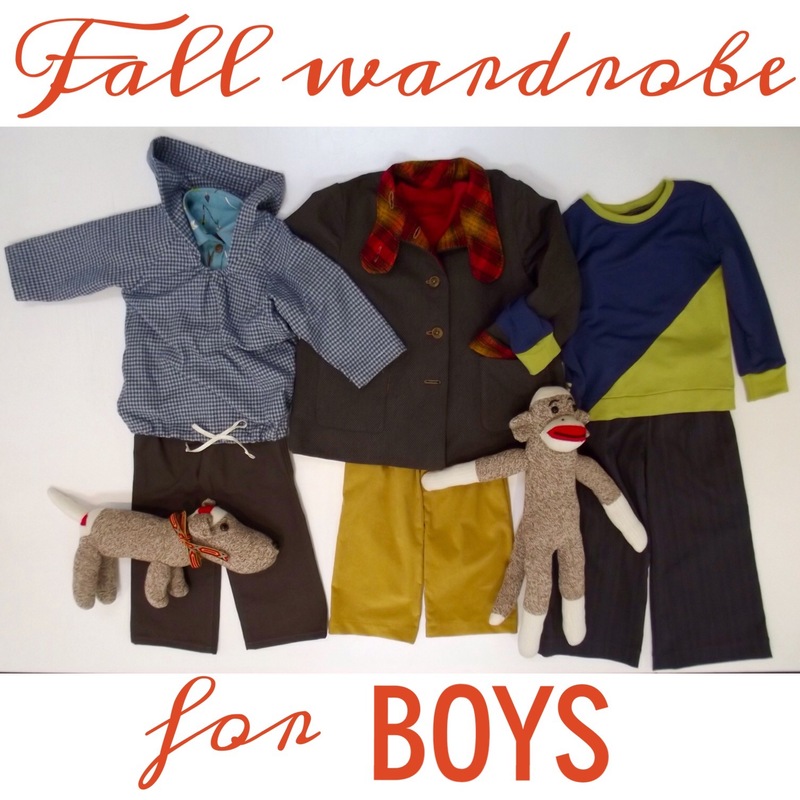 From Stitch Wear Play, we selected the unisex jacket and boy’s shorts patterns (though we lengthened the boy’s shorts into a full pant). 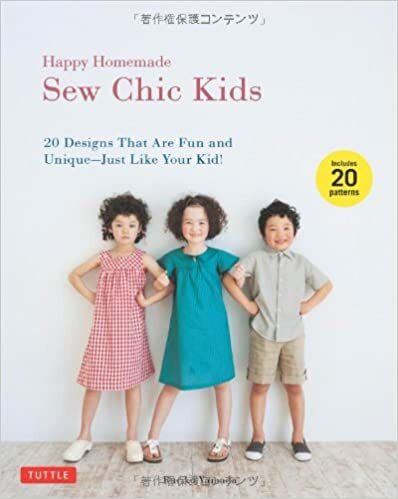 From Happy Homemade: Sew Chic Kids, we chose the patterns for wide-leg pants, pull-over parka, and boy’s shirt. The tee-shirt pattern we selected is KwikSew 133. 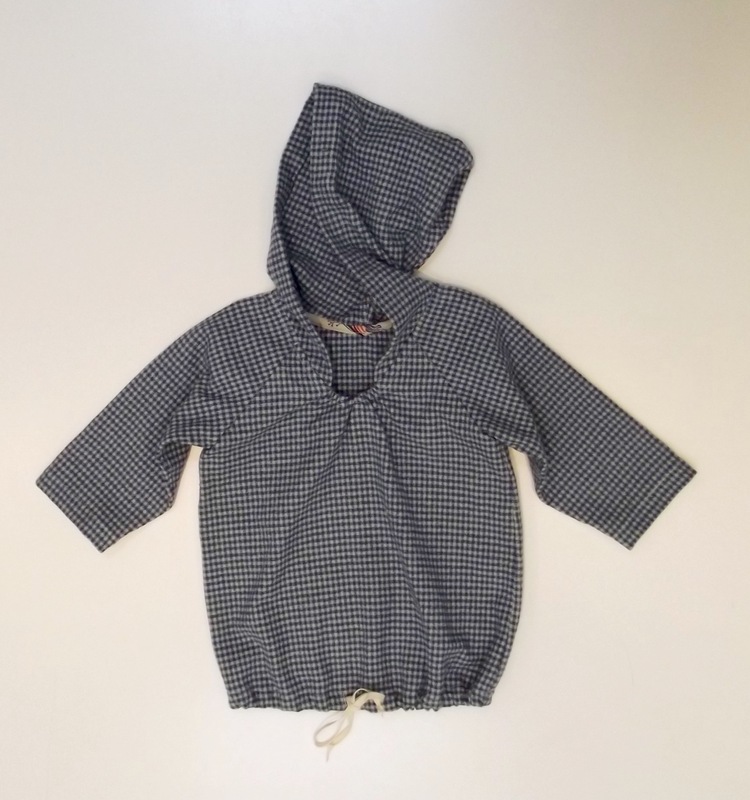 Once we had the patterns picked out, we started pulling fabrics that would be appropriate for a little boy: comfortable, durable, and fun! At first, we pulled all the fabrics we thought fit the concept, then we narrowed by color and pattern. We came up with a great collection of fabrics that includes flannel, corduroy, canvas, and French terry. For the jacket, we landed on two-color twill weave in warm gray and black, to be lined with a red & gold plaid Mammoth Flannel from Robert Kaufman. 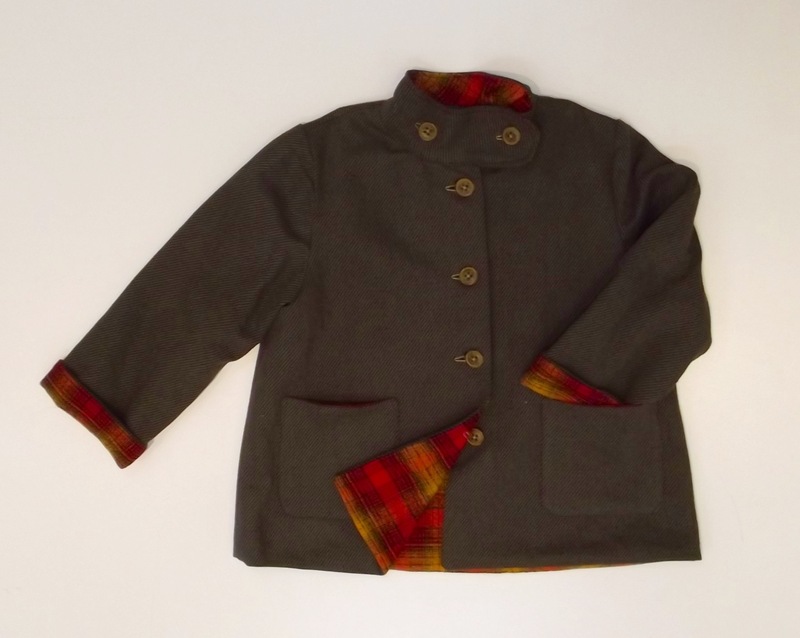 While Stitch Wear Play recommends a cotton jersey for this jacket and leaves it unlined, we wanted to make this a cozy fall jacket, so we simply created a lining from the flannel using the body pieces. For the button closure, we selected a metal button style that is painted to look rusted, which makes this feel like a bit like a barn jacket. 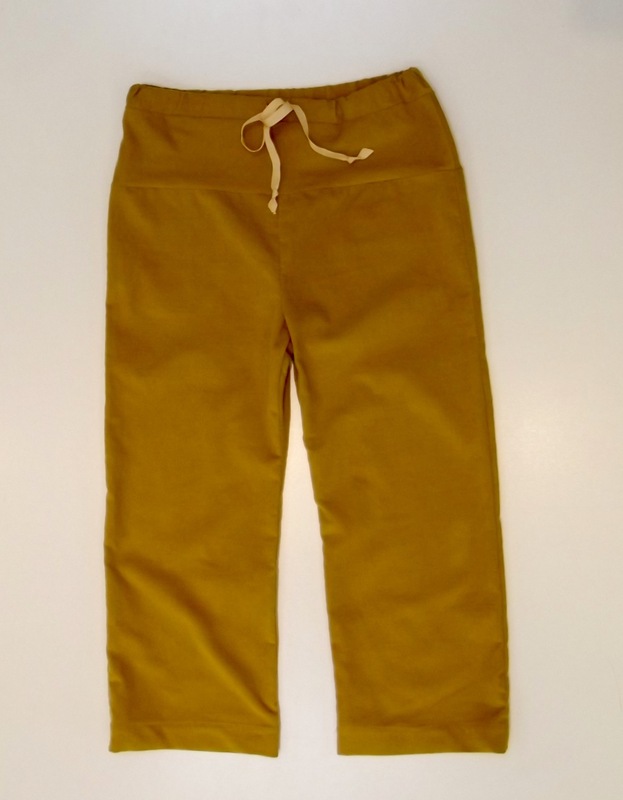 For the Stitch Wear Play pants, we used lovely fine-wale corduroy in a golden color. 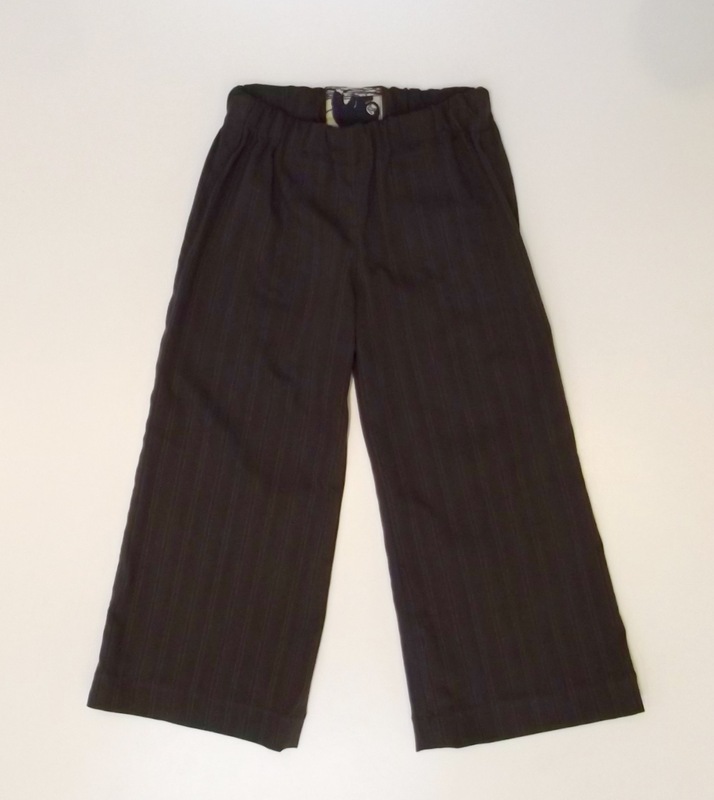 As mentioned above, this pattern is drafted as shorts; we lengthened the leg into a full pant. The pattern features a drawstring waist and a yoke that is cut on the bias, giving it a very relaxed silhouette. For the pull-over parka, we selected another cozy Mammoth Flannel, this time a small blue/grey gingham motif and used cotton twill tape for the drawstring. 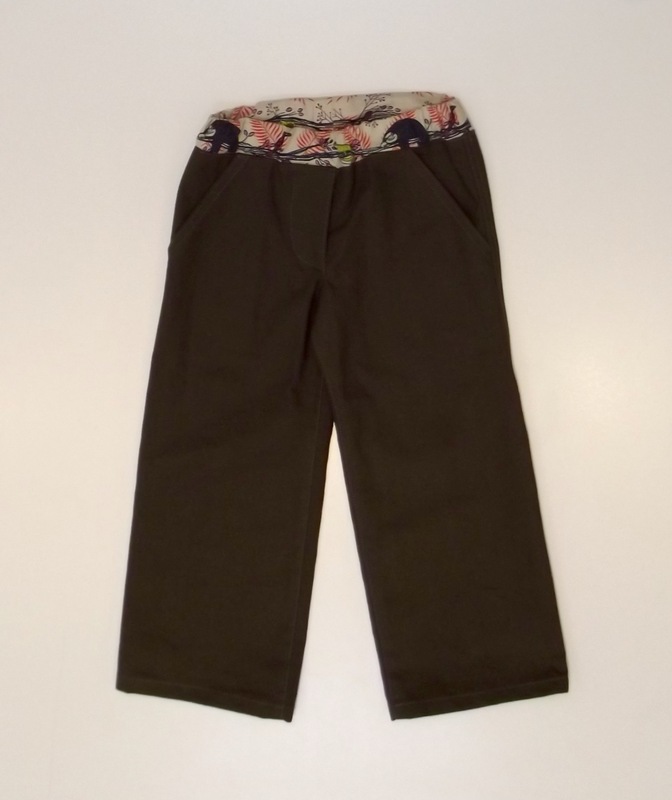 We made two versions of the wide-leg pants pattern from Happy Homemade: Sew Chic Kids. 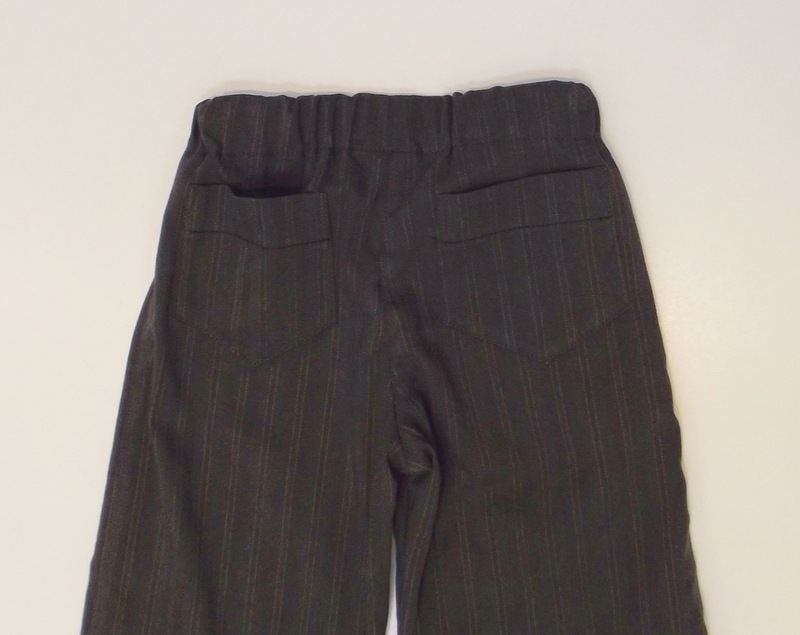 For one pair, we used a casual cotton/spandex quality in blue-grey featuring both herringbone and double pinstripe details. This pattern features patch pockets on the back, which are too cute. For the second pair, we used a lighter-weight cotton canvas in cement grey. We altered the pattern to add pockets to the front and faux fly details. Because this is a pull-on style with elastic waistband, we made the waist casing in cotton broadcloth for a softer, more comfortable alterative to the canvas. Our fabric choice for the waist casing is a cute sloth print from Cotton + Steel. For the boy’s button-down shirt, we used cotton broadcloth in a great new arrow print. The fabric has a muted blue ground and arrows in yellow, chartreuse, grey, and tan. For the buttons, we picked out the same rusty looking painted buttons as used for the jacket, which pick up some of the colors in the print. We also made two versions of the KwikSew tee pattern. For both versions, we used a super soft French terry quality, made of rayon from bamboo, cotton, and spandex. We carry the fabric in a bunch of great colors, so to coordinate with our other fabric choices, we selected red, blue, and citrus green. 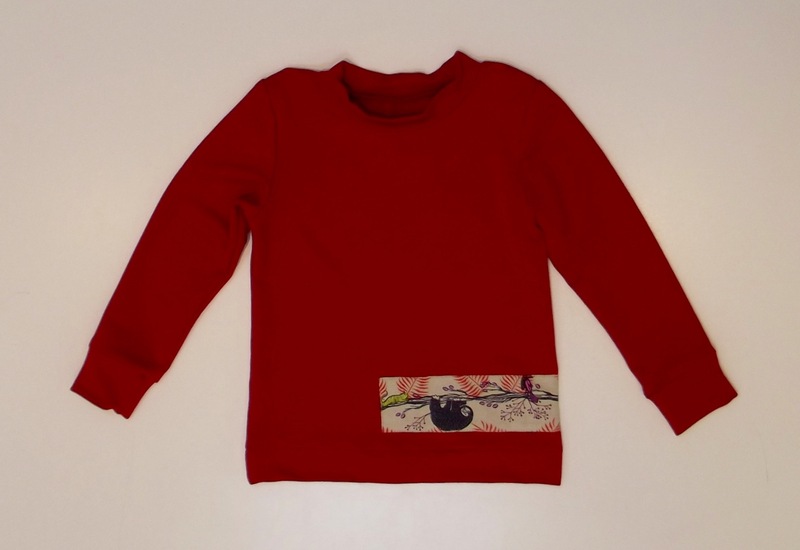 For one tee shirt, we used the red french terry and appliquéd a band of sloths, wrapping from the front to back on the left side. 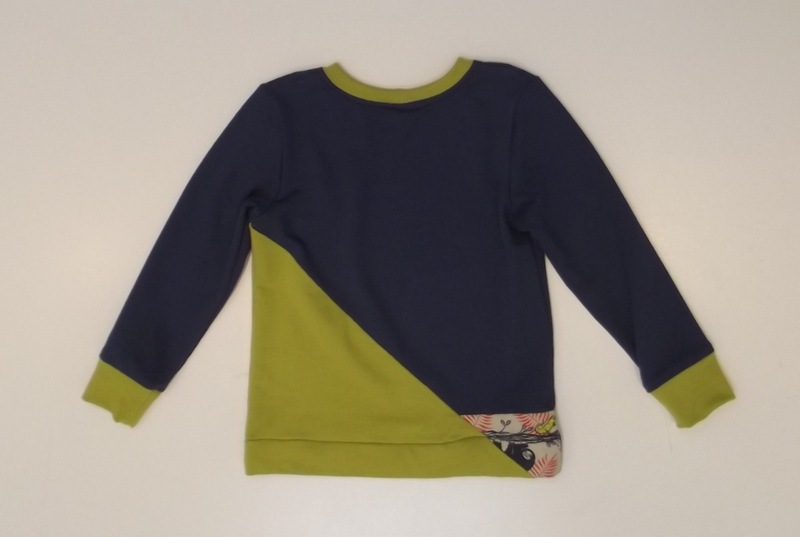 We made the second tee in the blue and citrus green colors and made a few cool adjustments to the pattern. The first change was to splice the front and back to create color blocking (an effect that was continued on the cuffs and neck band). The second adjustment was to shorten the neck band. The final change was adding a sloth to the back of the tee, peeking out at the hemline. Each of these patterns was fun and easy to construct. In fact, the lengthiest part of making this wardrobe was tracing off all the patterns! Any questions about the books, patterns, or fabrics we used? Leave them in the comments section below!